Publisher / Place of Publication: Four Courts Press / Fumbally Lane, Dublin 8. About: This book chapter (pp. 87-112) looks at the role played by ‘informant’ Bridget Dolan in the conviction of several United Irishmen for anti-government activities in the Wicklow area. The most high-profile trial that she was associated with was that of William ‘Billy’ Byrne of Ballymanus, which led to Byrne’s execution. 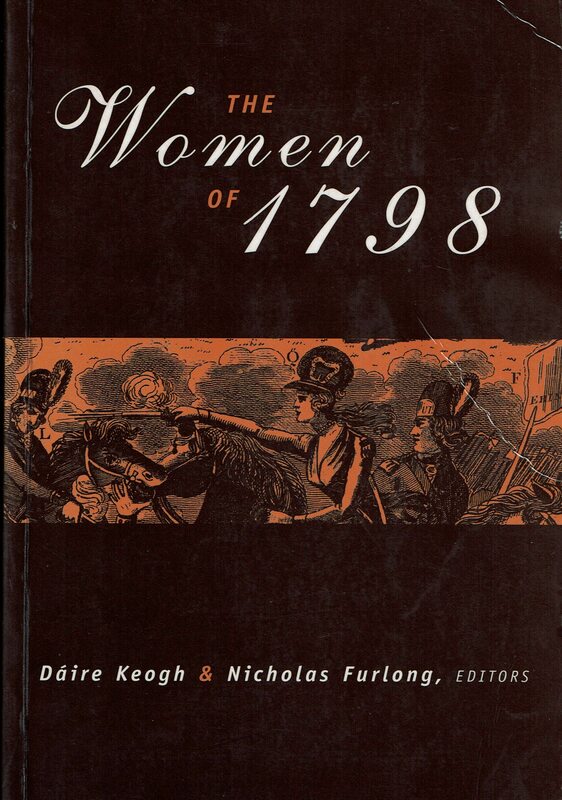 The author explores the circumstances of the demonisation of Bridget Dolan whom he refers to as “one of the most interesting women to participate in the rebellion and its aftermath”. WW Connection #1: Bridget ‘Croppy Biddy’ Dolan was born and lived in Carnew in South West Wicklow in 1777.